Located in Mt.Shasta, Shivrael offers Thai Bodywork and Thai Foot Massage. 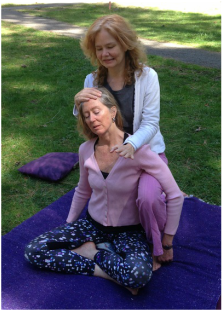 She is an experienced practitioner and healer who was certified in Thai Bodywork in the Boston area. She has been doing massage and energy work since 1989. Our Thai Energy Package is a 60 minutes on the mat treatment that includes a Full Body Thai Bodywork from toes to head, with gentle face massage and energy work head points for deep relaxation. ~ Only $59! (Regular price $89.00). See our Royal Treatment and other Specials! Gift Certificates via email are now available!